Syi - Football and a 3.5 GPA, Michael - Football and a 3.6 GPA, Sarah - Soccer and a 4.0 GPA and Destiny - Softball and a 3.0 GPA were recognized this morning and presented with a special award and a Subway gift certificate. Pictured with each award winner today are Denny Patterson, Jim Jones and Brian Patterson. 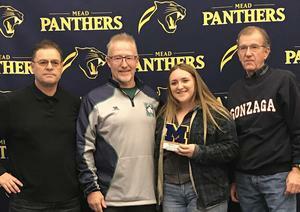 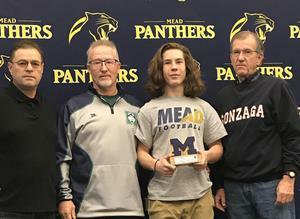 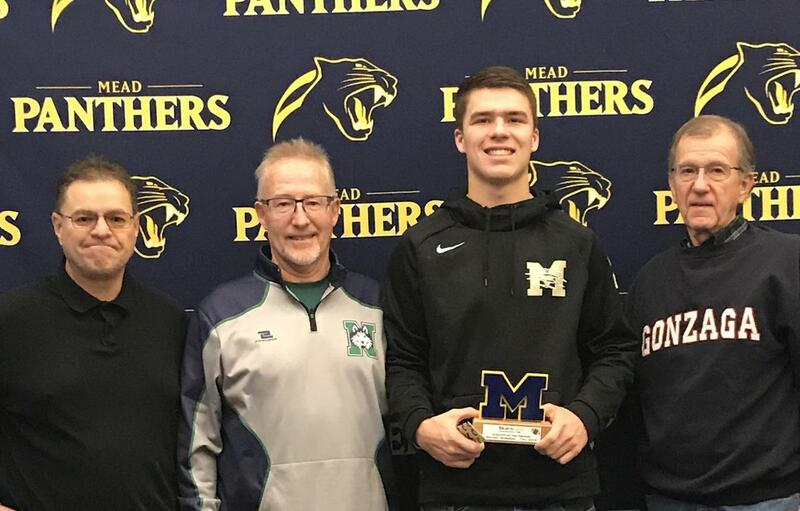 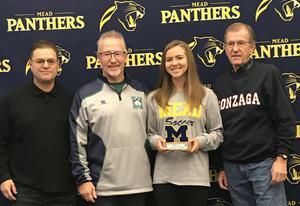 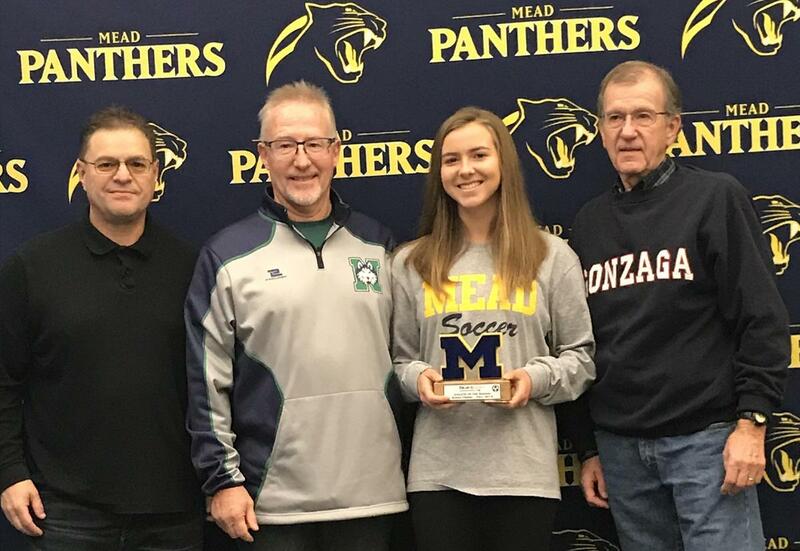 Denny (Mead class of '61), Brian Patterson (Mead class of '83) and Jim Jones (Mead class of '76) comprise the non-profit organization, called Blue & Gold that keeps the Mead Panther spirit alive. 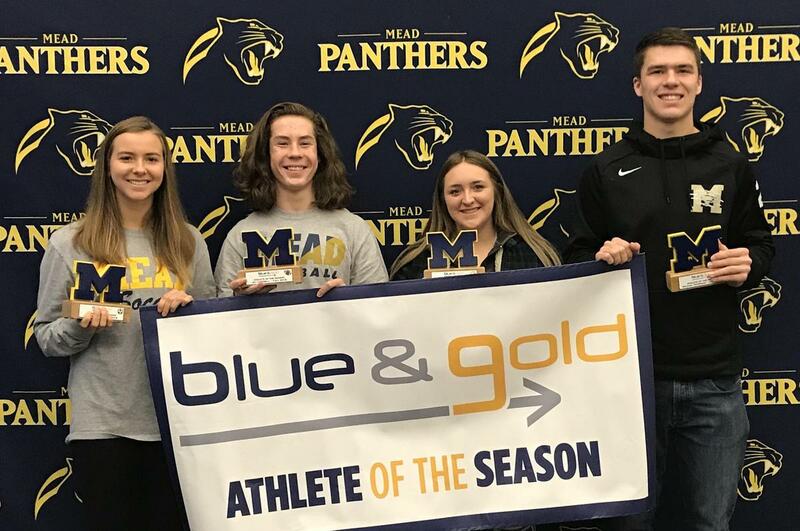 Blue & Gold is an organization dedicated to recognizing the achievements of student-athletes and exemplary graduating seniors while making a positive impact in our community.